The new findings, published in the journal Nature Communications, show that alpine tundra in Colorado's Front Range emits more CO2 than it captures annually, potentially creating a feedback loop that could increase climate warming and lead to even more CO2 emissions in the future. A similar phenomenon exists in the Arctic, where research in recent decades has shown that melting permafrost is unearthing long-frozen tundra soil and releasing CO2 reserves that had been buried for centuries. "We wondered if the same thing could be happening in alpine terrain," said John Knowles, lead author of the new study and a former doctoral student in CU Boulder's Department of Geography and a researcher at the Institute of Arctic and Alpine Research (INSTAAR). "This study is a strong indication that that is indeed the case." Forests have long been considered vital carbon 'sinks,' sequestering more carbon than they produce and helping to mitigate global CO2 levels. As part of the Earth's carbon cycle, trees and other vegetation absorb CO2 via photosynthesis while microbes (which decompose soil nutrients and organic material) emit it back to the atmosphere via respiration, just as humans release CO2 with every breath. Melting permafrost, however, changes that equation. As previously frozen tundra soil thaws and becomes exposed for the first time in years, its nutrients become freshly available for microbes to consume. And unlike plants, which go dormant in winter, microscopic organisms can feast all year long if environmental conditions are right. To study this effect in alpine conditions, researchers measured the surface-to-air CO2 transfer over seven consecutive years (2008-2014) at the Niwot Ridge Long Term Ecological Research (LTER) site in Colorado, a high-altitude research project funded by the National Science Foundation that has been in continuous operation for over 35 years. The team also collected samples of soil CO2 and used radiocarbon dating to estimate how long the carbon forming that CO2 had been present in the landscape. The study showed, somewhat surprisingly, that barren, wind-scoured tundra landscapes above 11,000 feet emitted more CO2 than they captured each year, and that a fraction of that CO2 was relatively old during the winter, the first such finding of its kind in temperate latitudes. The findings suggest higher-than-expected year-round microbial activity, even in the absence of a deep insulating snowpack. "Microbes need it to be not too cold and not too dry, they need liquid water," said Knowles, now a researcher at the University of Arizona. "The surprise here is that we show winter microbial activity persisting in permafrost areas that don't collect much insulating snowpack due to wind stripping it away." 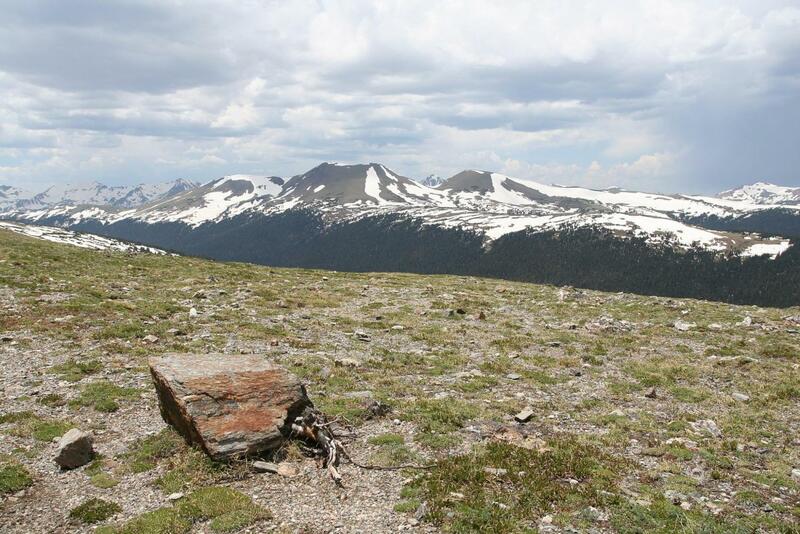 While the alpine tundra's net CO2 contributions are small compared to a forest's sequestration capability, the newly-documented effect may act as something of a counterweight, hampering atmospheric CO2 reductions from mountain ecosystems in general. The findings will need to be factored in to future projections of global warming, Knowles said. "Until now, little was known about how alpine tundra behaved with regard to this balance, and especially how it could continue emitting CO2 year after year" Knowles said. "But now, we have evidence that climate change or another disturbance may be liberating decades-to-centuries-old carbon from this landscape."